Please join us for today’s service led by Rev. Paul Dodenhoff. Part 2 of Rev. 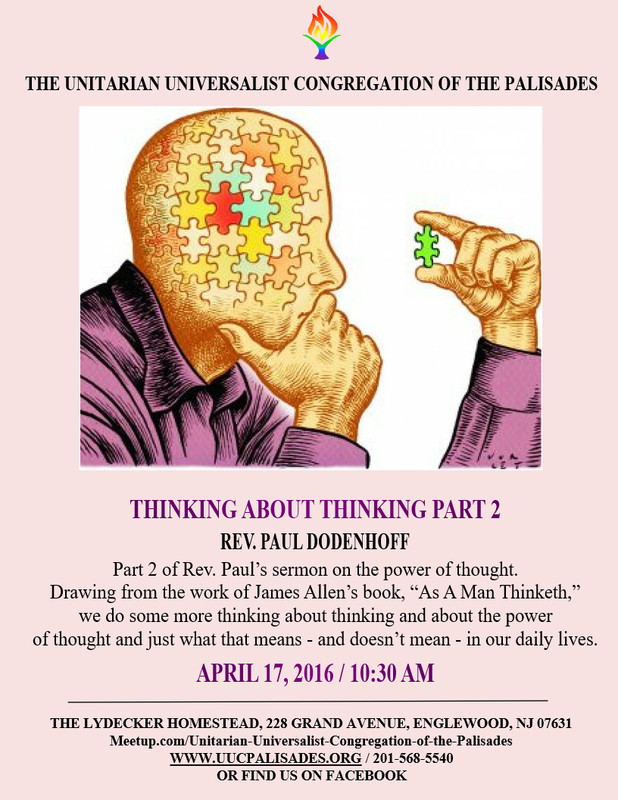 Paul’s sermon on the power of thought. Drawing from the work of James Allen’s book, “As A Man Thinketh,” we do some more thinking about thinking and about the power of thought and just what that means – and doesn’t mean – in our daily lives.